Mmmm, my favorite food, the cheeseburger. This build is as brilliantly presented as it's built. Check out the salt and pepper shakers, they're full of 1x1's, and so is the shake. 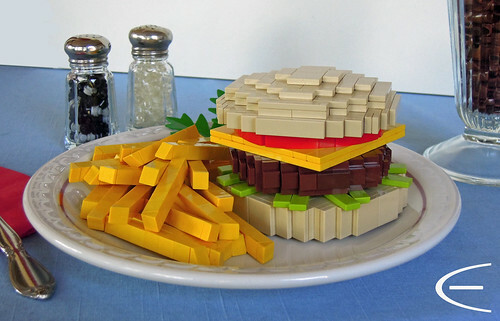 I can't believe a MOC is making me hungry, but now I'm craving burger.